Leicester Square, Tottenham Court Road, Piccadilly Circus. Kettner’s Townhouse is a restaurant and Champagne Bar with 33 bedrooms, in a historic Georgian building in London’s Soho. 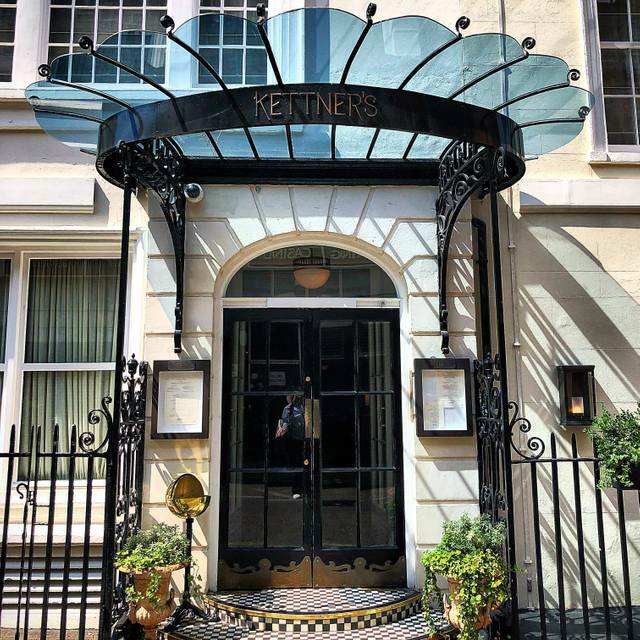 Established in 1867 by Auguste Kettner, Kettner’s was one of the first restaurants in London to serve French food. 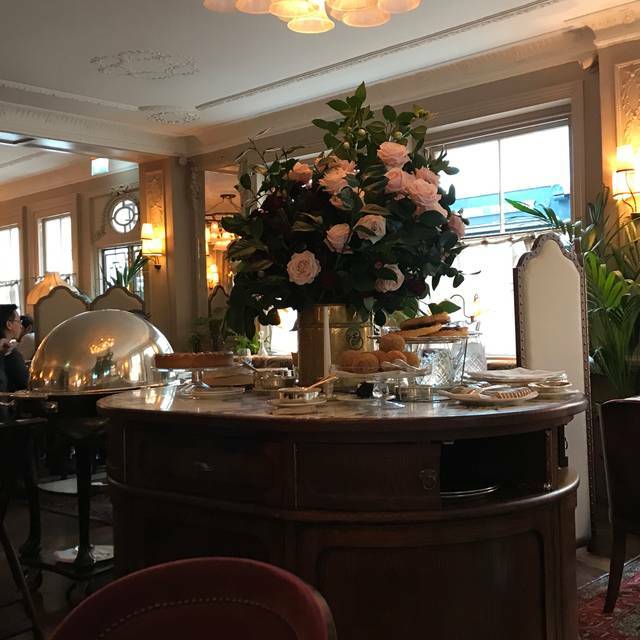 The French restaurant at Kettner’s Townhouse has a menu inspired by the history of the building, serving breakfast, lunch, dinner and high tea, using locally sourced ingredients from the UK. Second and last time I’ll be back to Kettners after the Soho House takeover. The food simply isn’t good enough. Bland flavours, tepid at best, and utterly uninspiring. The food is unfortunately coupled with a very uptight service delivered by glum faces waiters. Kettners just doesn’t deliver like other soho house establishments. Drinks take forever to arrive too. No one really enjoyed their brunch to be honest and I’m not sure too many other guests did either. Atmosphere, service, decor, drinks, food, music(piano) fabulous. My favourite cocktail however wasn’t up to usual standard because the chillies were not hot and affected the flavour but overall we had a super night. Friendly feel with helpful staff. A little expensive but didn't feel rushed and was able to chat in comfort with my friend which was the point of the lunch. 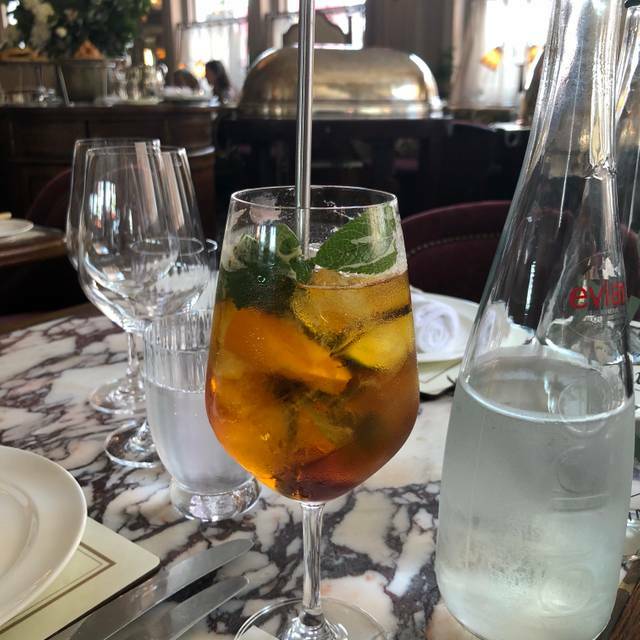 We had a wonderful Sunday lunch at Kettners and drinks in the piano bar afterwards. The service and food were both of a very high standard and we were left for 5 hours to enjoy ourselves. We ll be back again and again. Always such a great experience to have breakfast here - superb food, coffee and juices in nice Soho House environment with everything that entails of understated nicety. Went for afternoon tea on a Saturday afternoon. Far too noisy. Couldn’t hear ourselves think. Food was alright. Best thing was the scones. Sandwiches were small portions, and the desserts left a lot to be desired. The chocolate was tasteless. Service was good. Courteous and helpful. But overall, the experience was poor. We ate as quickly as we could to leave. My friends and me are going to Kettner's 2 times a month and now we are very sorry that it will be only opened for soho-house-members. Superb food and great service. Piano bar was great for a pre-dinner drink and there is another bar if you fancy a few more after dinner. Thoroughly enjoyed the evening. 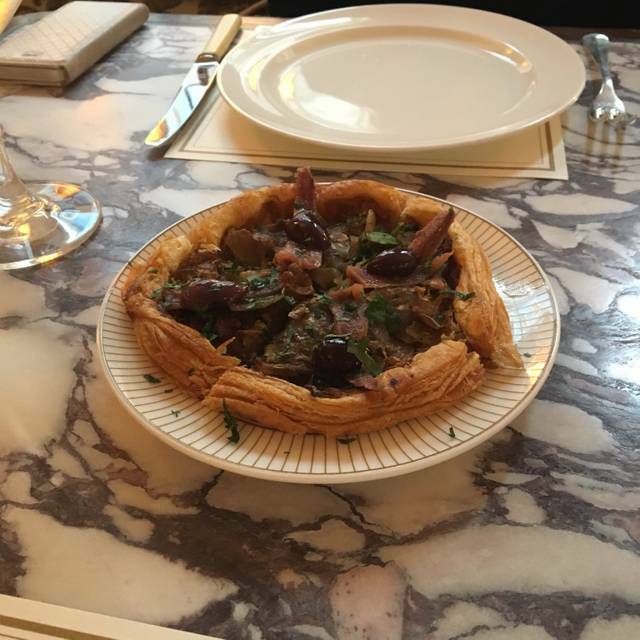 One of the best spots we've eaten at in London. Can't wait to go back when we get the chance. Highly recommended. I’ve been going to Kettners for years very disappointed with their level of service. It was a birthday dinner yet they were more concerned about get their table back early. They asked us to leave our table early as they had a larger group coming in and found us a table in the bar where we could have dessert yet no one came to take our order. We had champagne but had to keep finding someone to poor it as our bottle wasn’t nearby, I had to ask for water 3 times. Basically they got their table back and then couldn’t be bothered, thanks for spoiling my birthday dinner. Food and service were terrific. Our waitress went out of her way to ensure that my gluten-free husband was well cared for and everything we ate was delicious. In fact our only (very small) grip is that the room was slightly dark. Otherwise, terrific. Oysters alongside a starter are a must!! The location is beautiful and the service is excellent. The food was really good, my only suggestion would be improving a bit the savoury sandwiches. The scones and the desserts were amazing. Disappointed with the food, steak was very salty. Oysters were nice. It was an ok dinner for a lot of money. Wine list a tad too expensive for what the wines actually are.. I love fine dining but think they are not quiet there in terms of being able to charge top dollars.. enjoyable enough but the bill and good were not up to it. Newly refurbished but in keeping with the old french brasserie style, a gorgeous setting for a special evening supper to celebrate our friends forthcoming wedding, with girls. Excellent service, delicious wine and food, lovely candlelit ambience. Good value at £52/ head for two courses, a bottle of cremant, petit fours and coffees. The staff very sweetly added ‘congratulations’ message in chocolate on our petit fours. I recommend it! Back to its best after a sad decline. 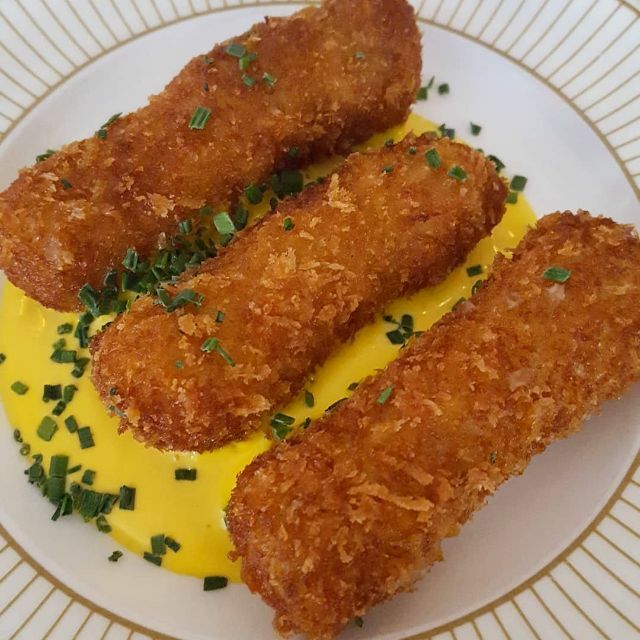 A London classic successfully reinvented. Great fun dining venue. Service was not as good as on my last visit - the dining room felt a little under staffed. Would certainly return. A lovely venus for a civilised, quiet lunch. The staff are always very welcoming and friendly. Had a glass of champagne in the champagne bar before dinner which the decor and ambiance was lovely, great relaxed service and very helpful in selection by the bartender who was immaculately dressed. The restaurant itself is so beautiful and grand with a laid back feel and the waiters extremely professional and knowledgeable. We shared oysters and starters of the leek soufflé and beetroot terrine which was so delicately prepared and presented and then followed by the pork loin and salmon for mains which were cooked and presented beautifully of which we had the most sumptuous mash with truffles which was to die for!!! The champagne and wine were fantastic and the low lit restaurant along with the pianist playing in the background was extremely romantic and harked back to old school glamour. 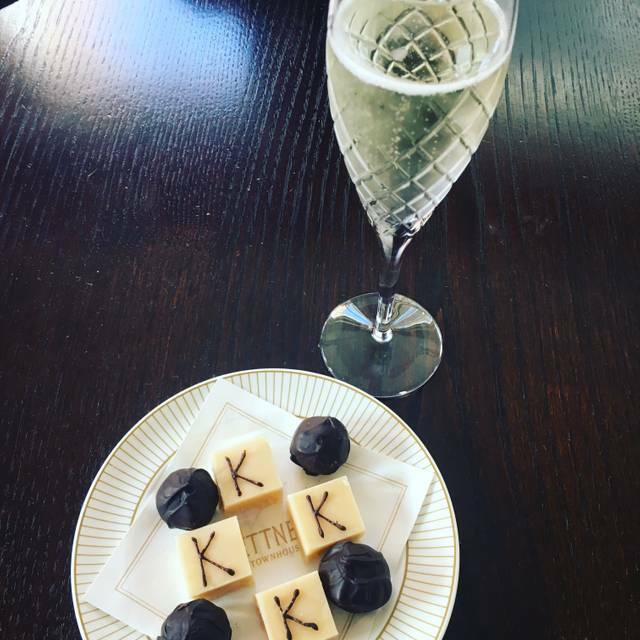 It was our 30th anniversary and the waiter bought us some fine chocolates and butterscotch fudge and congratulated us and thanked us for choosing Kettners and how it was a pleasure to serve us in our special occasion, which really topped it all off lovely. I would recommend to all and will definitely be returning. Elegant surroundings, great choice of food, good value, attentive staff. We met there for lunch so relatively quiet. Amazing food, service and ambiance 10/10... the theatre of the soup being poured at the table was great - remembered the booking was for a birthday and surprised us with singing and a candle at the end of the meal without being prompted. Great piano background noise in the bar. Will return soon. 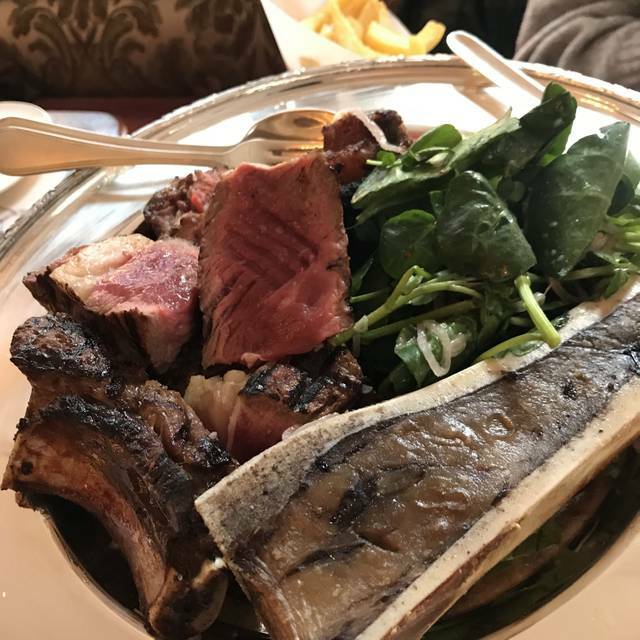 Excellent menu choices whether a la carte or fixed, everything we had was well prepared & beautifully presented with attentive and charming service. Only negative comment, we were sitting at a table just at the bar entrance, a piano was being played in bar, and rather drowned our conversation. great service. great food. Rhubarb parfait is to die for OMG! The food and the service was excellent. My Sunday lunchtime dining experience was marred by the rudeness, noise, boorishness and unkempt appearance of some of the other customers. Early Saturday evening and the piano bar and restaurant are already noisy with a bustling slightly boisterous vibe, not then the place to go for quite conversation but a place to enjoy decent quality, fairly priced food in an attractive dining room. Something has dramatically changed in terms of food quality in this establishment since my last visit. Still a very nice ambiance, but the food standards have gone down considerably. Shame...their beef tartar used to be one of my favorites. 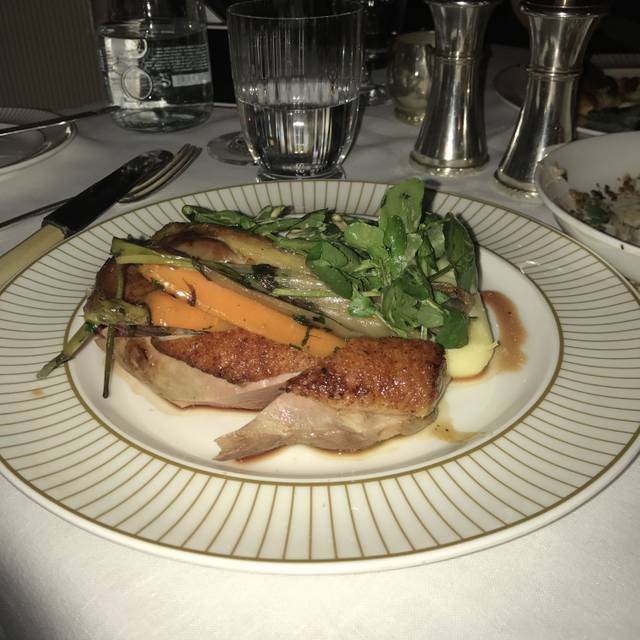 Having eaten at Kettners a couple of months ago, it was our first choice for a special evening with friends. 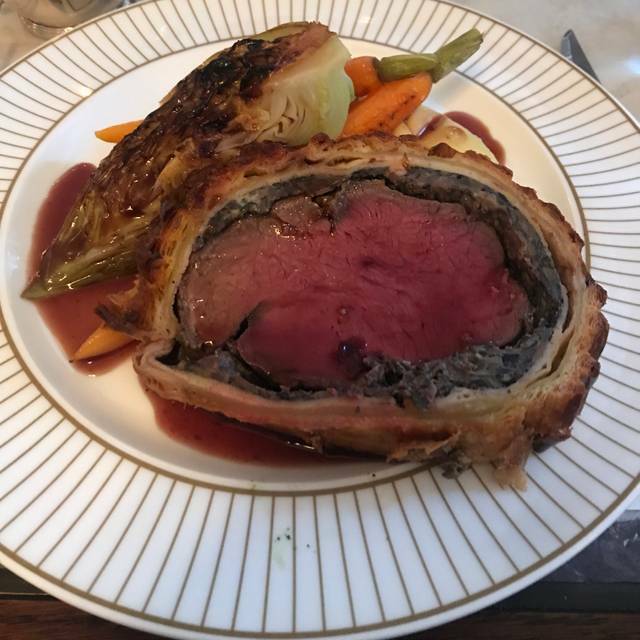 The food is absolutely 1st class and our Chateaubriand was cooked to perfection and absolutely delicious. A special mention must go to our waitress who was amazing. So attentive and patient. Didn’t have to ask for anything once, I’m sure she was a mind reader. Really made our evening a very special time. Bravo to all at Kettners, we will see you again soon. Brilliant evening and amazing service thank you. Will definitely recommend to friends and family . We will be back . The afternoon tea was very good, the service awesome. BUT way too loud and noisy for a cosy experience. We couldn't hear each other talking from across the table, even though it was 4pm on a friday! But very nice place and very good service, tea and food! Since the revamp I think has lost some of the lovely ambience as too popular. Very noisy group of men near us so we decamped to bar which is equally noisy with unwanted music. The staff were lovely however my eggs were stone cold as was my toast. My sisters pastries were served stone cold too which you don’t expect for an upper market breakfast. Fantastic food & atmosphere! Will definitely be coming back! It’s the second time I’ve had Sunday lunch here and was again, very impressed. We had the same waitress who was wonderful and great food. We will come again soon. The food was good and the service excellent. We were made to feel very welcome.